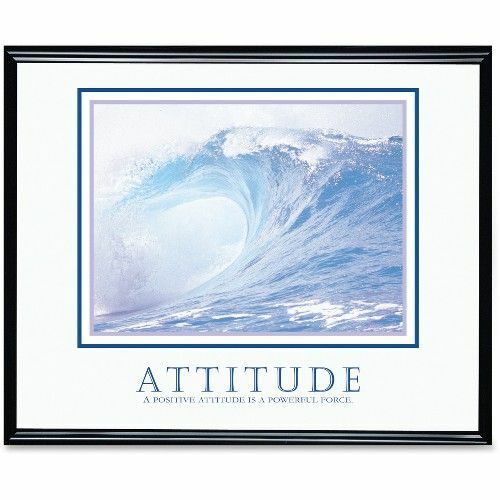 Motivate employees and co-workers by decorating the office with this print that features an inspirational thought. Inscription reads: "Attitude: A positive attitude is a powerful force." Poster includes black frame.